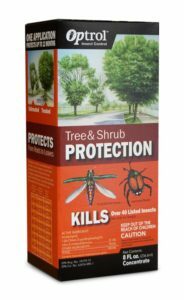 OPTROL protects your birch tree from the bronze birch borer, your ash tree from the emerald ash borer and all trees from over 40 insects for up to 12 months. Apply in spring for best results, but may be applied anytime during growing season. Simply mix the product with water and apply.